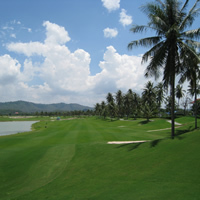 Pleasant Valley Golf and Country Club is one of the more challenging golf courses Pattaya has to offer. Situated north of Pattaya amid the mountains it boasts eight natural lakes and ponds. However the rolling landscape is not as elevated as expected and it receives a cool breeze so walking this course is relatively easy and enjoyable. Pleasant Valley Golf & Country Club is a world-class championship course. Playing at par-72 over 7,002 yards off the back tee, this really is an exciting and challenging golf course. Why You Should Play Pleasant Valley Golf and Country Club? The golf course is well manicured and gameplay quite stimulating it really is one of Golfing in Thailands more ‘pleasant’ experiences. However beware badly hit golf balls will be going swimming which they will enjoy on those warm days. The Khao Kheow national park is located only a few minutes’ drive from the club house. It's a great day for relaxation not only for golfers, but also for family members who are seeking time in the natural beauty of Thailand. Walking the course is strongly recommended. Bring extra balls just in case.